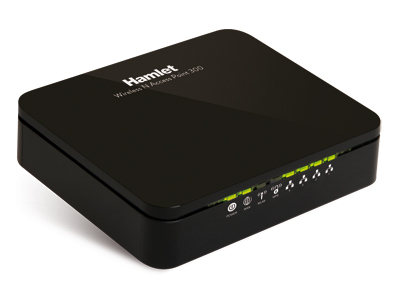 Hamlet HNW300APN2 is a 300Mbit Wireless AP Router based on IEEE 802.11n Wi-Fi standard with a built in 4-port fast Ethernet Switch. It offers the easiest way to share and extend your high-speed DSL/Cable Modem Internet connection, either with or without wires. Network Address Translation (NAT) and VPN pass-through provide your network protection from hackers, while WEP and WPA encryption guard your wireless network for maximum privacy.